Servers will remain offline but there is good news, we are feeling confident that we have resolved the VOIP issue and are now working on other quality of life aspects. You can see what is currently Ready For Testing on the TRELLO. We will update you asap on when we plan to turn the servers on and let hell loose again! Yip it's me, we have been quiet for good reasons I promise! We are looking at the end of the week now to go live with the update all pending a few tests. Alpha being Alpha it will likely still have bugs but feel it's important we get you all in to help us continue to test some key fixes and changes. This being said I will likely bring the servers down tomorrow (sooner if low pop) to refresh, and then schedule specific testing times pending on player population, as we want to make sure we are stress testing when the update comes. Thanks! Giantic news on this, a new trailer is out! As they have partnered up with Team17! Went and checked this game out and it looks great. I filled out the form for VG to show my interest. 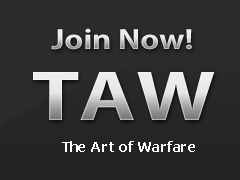 Is this forum post the best way to get updates on the progress of the game within TAW? I was looking through the Hell Let Loose site this morning and noticed under the community drop down that they are looking to reach out to gaming communities with 20+ members. "We are keen to work with established clans and communities who understand that creating a great playing environment is crucial to the success of a title like Hell Let Loose." This might be a good opportunity for TAW especially if we have enough interest in launching the game. I think so too. I signed us up during my time in the spin up team but we never got a response. I guess they will start that program once they release the game or got a release date. Excellent, I went ahead and filled the form out as well. Maybe two people filling it out will grant more of a response? (fingers crossed). So I guess you are planning to join the spin up team?